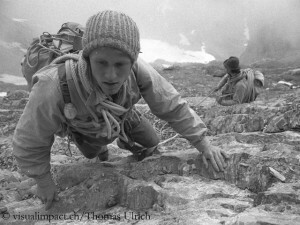 Eleven years ago you climbed the North Face together with Michal Pitelka using the equipment from 1938. Did your experiences open your eyes for the quality of the pioneer’s performance? Of course I had already great respect for these pioneers before we started our project. But after this experience with the old equipment my respect has increased still further. What are the main differences between old and today’s material? For the pioneers their equipment was then certainly top material. But the 30 metres long hemp ropes could only carry 400 kilos, which for us today is dangerous to life. The shoes had rubber soles with small nails. The climbers had bad crampons, classic ice axes without prongs. In addition the old karabiners, no helmets, just hats and caps. From A to Z it is hardly conceivable for us today to climb with this equipment. 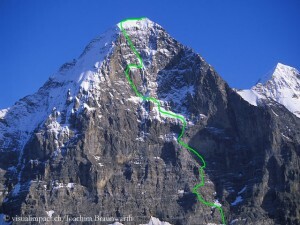 Even today, the Eiger North Face is still often referred to by many as “murder wall”. Isn’t that a bit excessive? Yes. Fortunately, nowadays tragic accidents hardly occur in the Eiger North Face. Today you can compare it with other major walls in the western Alps. What are the specific risks of the wall? If we, as right now, have high temperatures of 30 degrees, we must be alert to rock fall. The wall is long, you have to be physically fit and experienced in rock and ice climbing. Most climbers need a bivouac, where they don’t sleep well. 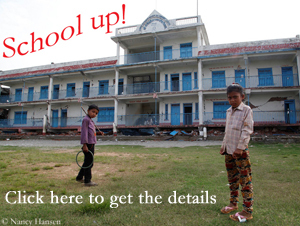 It’s physical stress, which shouldn’t be underestimated. Have the risks shifted in recent years due to climate change? Even earlier, there was rock fall in the Eiger North Face. What has changed is the season to climb the wall. Today more and more climbers arrive in winter or in spring, when there is a lot of snow in the wall – as it was in July 1938. In this respect, the mountaineers have adapted to the changed circumstances. On mountains like Everest or Mont Blanc you find many people who actually don’t have the necessary climbing skills. Does that also apply to the Eiger North Wall? Fortunately not, because everybody knows the technical challenges of the wall. Normally only climbers try the North Face, who know that they have these skills. You yourself climbed the Eiger North Face 29 times, you opened new routes and climbed them free. What does attract you again and again? For me, the wall is still spectacular, it offers difficulties. 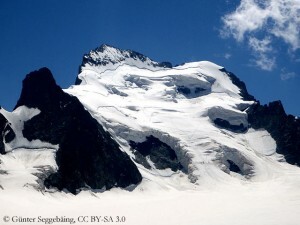 The Eiger is a beautiful mountain and easily accessible for me. That’s why I’m happy to go to this area, especially to the North Face. The wall is almost like a big stage. Tourists have their binoculars and camera lenses directed to it. If you climb the North Face, do you feel like living in a goldfish bowl? Once you’re in the wall, you’re really in a different world. You hardly register the tourists, much more the surroundings. You hear the cowbells, you see the cable car (to Kleine Scheidegg) driving up and down. You don’t feel that you are being watched – although in fact it’s like that. Heckmair and Co. took about three days for their first climbing of the Eiger North Face. Since 2011 Swiss climber Daniel Arnold is holding the record with two hours and 28 minutes. Is it the end of the road? No, a competition like that doesn’t simply stop. But it’s not like someone starts climbing the wall in the morning and tries to break the speed record. There must be a plan, you have to be very well prepared. Apart from these speed records, what new challenges the wall still holds? For me personally, the north face now has so many routes that there is hardly any new, unique, logical line that you can open. Sure there will be the one or other new variant, because the Eiger North Face is just media-effective. But real great new trips are hardly conceivable. 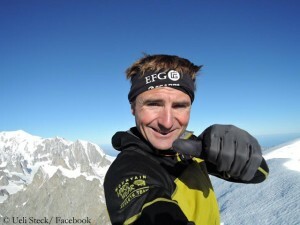 "I believe he was a totally happy person when it happened," said Robert Boesch, the Swiss photographer and mountaineer, at the commemoration for his friend Ueli Steck, who had fallen to death from an altitude of about 7,600 meters on Nuptse on 30 April. Seven climbers have lost their lives in an avalanche in the French Alps today. 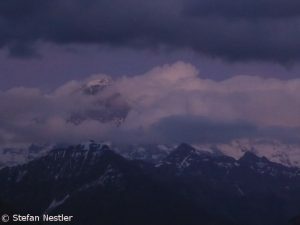 The incident happened on the 4015-meter-high Dôme de Neige in the Écrins massif southeast of Grenoble. The French authorities said that four Germans and three Czechs died in the avalanche. Actually, Ueli Steck doesn’t like the nickname “Swiss Machine”. But once again he confirmed his reputation. 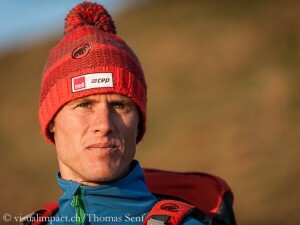 As a precisely running Swiss watch, the 38-year-old completed his project “82 Summits”– on the double: “Speedy Ueli” scaled all 82 four-thousanders of the Alps in only 61 days, 19 days faster than previously intended.